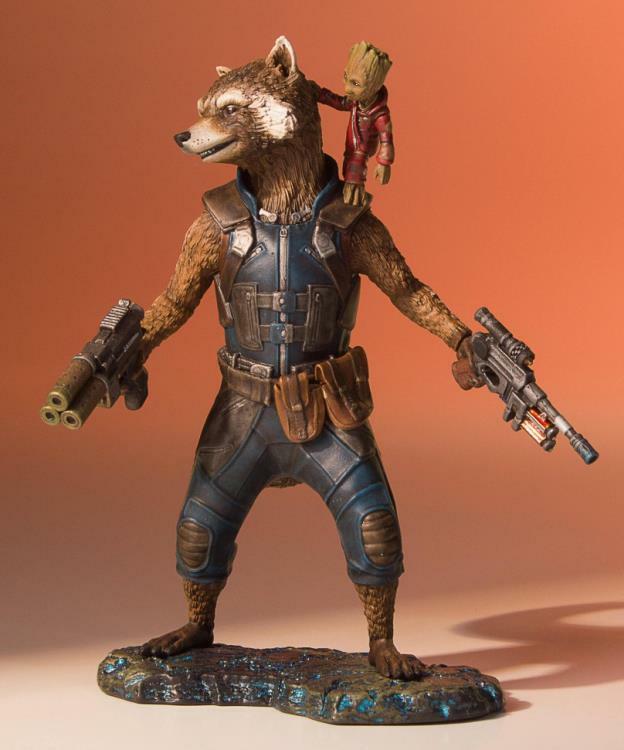 From the blockbuster summer movie Guardians of the Galaxy Vol.2 come Gentle Giant Ltd.’s Rocket and Groot Collector’s Gallery Statue. This “trash panda” and his best friend have been digitally sculpted, down the minutest detail, by the amazing artisans of Gentle Giant Studios, and hand-painted for film accuracy. 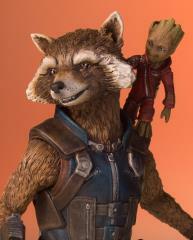 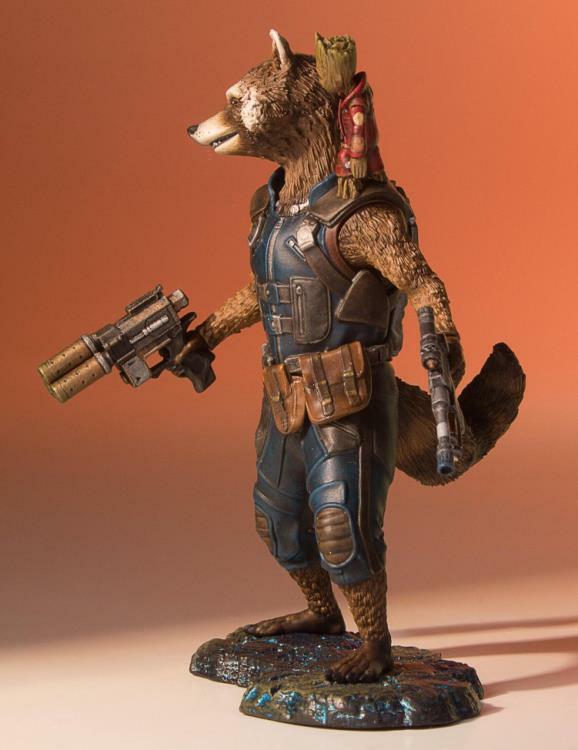 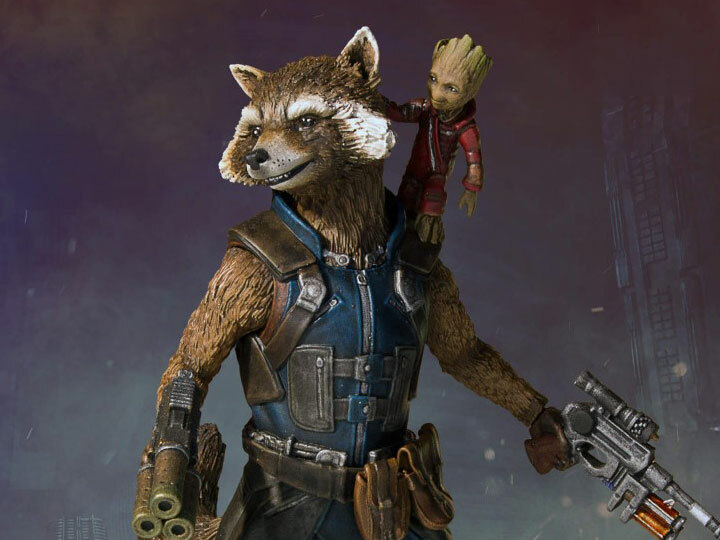 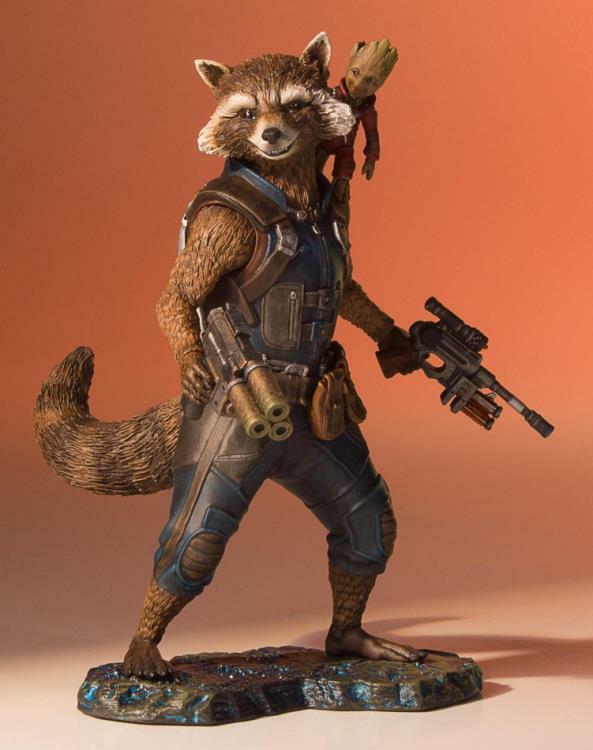 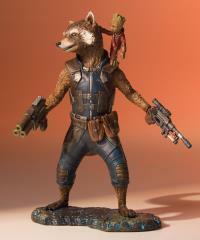 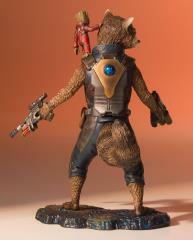 Rocket is armed with two guns while tiny Groot is perched on his shoulder wearing his little Reaver coat. Now you can own your own 1:8 scale statue of everyone’s favorite “triangle-faced monkey” Rocket and his pal Groot! The Rocket and Groot Collector’s Gallery Statue is the 5th piece in our Marvel Collector’s Gallery statue line and fits perfectly with the recently released Star lord Collector’s Gallery Statue (sold separately) from the same film. 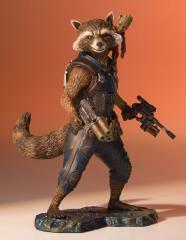 Each Collector’s Gallery statue comes hand numbered with certificate of authenticity.